In this two-hour seminar, participants will receive a brief history and overview of the Omega Experience in a way that clarifies its purpose for church-wide transformation. It is designed to help people understand the changes that we must make as the church of Jesus Christ if we are going to fulfill the Great Commission. This seminar is designed to help Christians understand God’s Biblical Masterplan to create holistic, transformational disciple-making communities. It helps Christians think Biblically, holistically and practically about the church’s mission, functions, strategy, goals, coordinated servanthood and tactics. It perfectly complements the Delta and Omega Courses content and can be used to help Christians as well as members get on the same page with the who, what, where, when, why and how of your congregational life together. Based on the book Fired Up or Burned Out co-authored by Jason Pankau, the Creating a Connection Culture seminar will teach you how to create a connection culture for your church, ministry, or business. In this practical and inspiring six-session seminar, you will learn the three core elements and two enabling elements that can empower you to transform even a lethargic, disconnected church, ministry or business into an impassioned, innovative, and thriving environment by unlocking the potential of your corporate Heart, Soul, Mind and Strength. This seven session-seminar is designed to help you build a marriage that experiences and expresses the love of God. 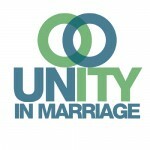 This seminar examines what the Scriptures say about marriage to help couples build a Godly foundation for their marriage. This material is perfect for weekend retreats or a multiple session class format. The Christian life is all about transformation, becoming more like Jesus. The eight-session Delta Course will guide you into an understanding of the transformational journey of discipleship and will equip you with the wisdom and tools necessary to grow a life holistically alive in Christ through discerning and implementing a Personal Growth Plan! This retreat experience is designed to give people time and opportunity to renew their understanding of the Delta and Omega Courses, refresh their Personal Growth Plans and refocus their lives for the next season of their growth. It is designed to be held at regular intervals in order to facilitate this journey as a normal way of life. A 24 Session Journey Equipping You for a Lifetime of Discipleship, the Omega Course trains people to steward life from God’s perspective. Omega teaches how to live your faith right where you are. It is also useful as a Biblical Time and Life Management seminar. 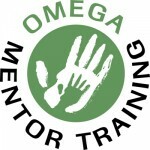 The keystone of the Omega Experience, the Omega Course provides several programmatic solutions for discipleship needs. This seminar is designed to help people better understand their unique call to servanthood, including understanding and identifying spiritual gifts and pursuing next step ministry opportunities! This one day seminar helps people understand their divine P.U.R.P.O.S.E. (Passions, Up Bringing, Resources, Personality, Original Abilities, Spiritual Gifts and Experience with Love) and how we are created to serve one another. It further develops and expands the P.U.R.P.O.S.E. paradigm introduced in the Omega Course and personalizes the application. This four-session seminar is designed to help people achieve financial freedom from God’s perspective. This seminar examines what the Scriptures say about money and money management in the areas of: earning, saving, giving, borrowing, consuming, budgeting and investing. It then translates that knowledge into wisdom and helps people develop a personal financial plan for stewarding the resources entrusted to them. Equip your Small Group Leaders to help participants realize life’s potential with Delta or Omega. 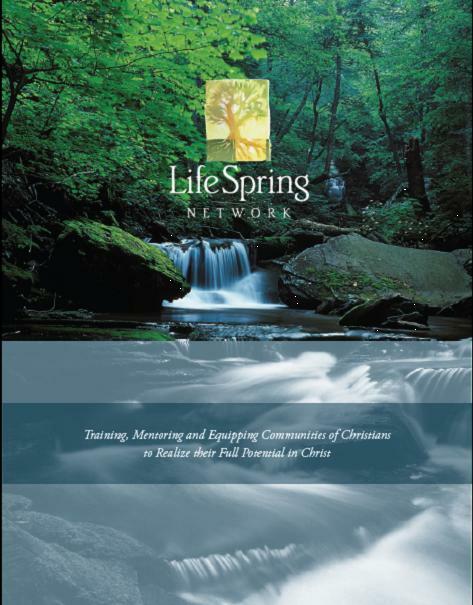 This four-session seminar gives your leaders a brief history and overview of the Delta and Omega Courses, shows them how to utilize the Small Group Leader’s Guide for maximum effectiveness in facilitating their group and takes Small Group Leadership to the next level with Life Spring Network’s C.O.R.E. Small Group L.E.A.D.E.R. paradigm. Start a mentoring movement in your own church or congregation by hosting or sending your leaders to this dynamic one day seminar/retreat. Participants will dive into the deeper aspects of mentoring that include: The Power of Transformational Ministry, Principles of Mentoring and Coaching, and Mentoring Others Using the Delta and Omega Content. Beyond Self-Help: “This book could not have come at a better time in my life. I have reached a turning point in my faith and I have been looking for some guidance and direction on where the Lord wants me to be in his kingdom, and what he wants me to do to serve him. This book has helped me with just that. I am both eager and excited to work through the points in the book, and I have found the information both inspiring as well as valuable. Growing my relationship with God is very important to me and reading this book has helped provide me with the tools to move further in my walk of faith and spiritual journey." James M. Jones Our Savior Lutheran Church, Joliet, IL.